Acornoak is a small hobby kennel, NOT a business. 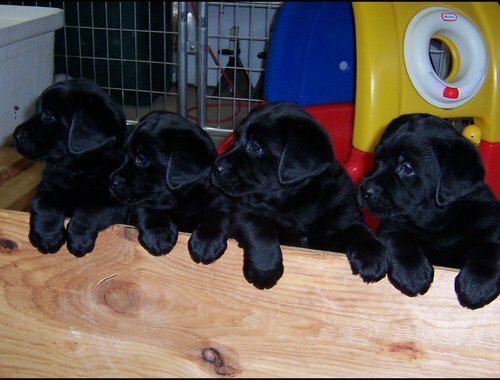 We only produce a litter of puppies so that we may keep something for ourselves, always striving to improve the breed. 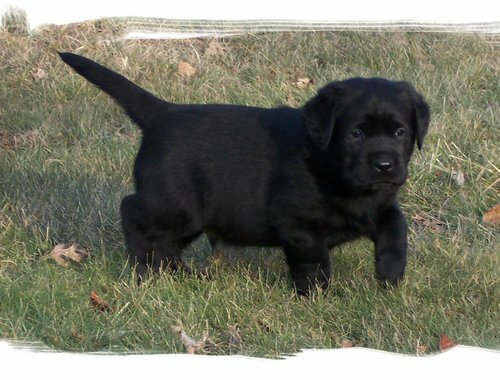 In order to be considered as a future home for one of our puppies, we require a completed Puppy Buyer Questionnaire. This will initiate the process by letting us know a little about you so that we may begin to evaluate the best match between your families lifestyle and our available puppies. A brief word about "waiting lists". 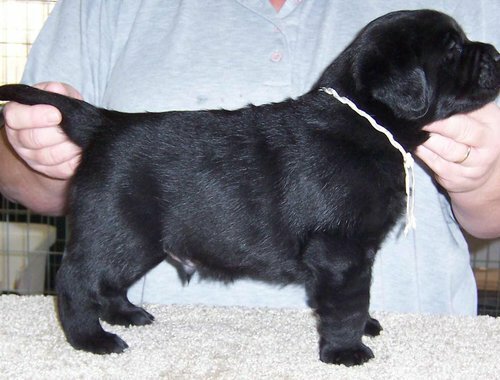 We always breed first for ourselves and plan to keep one or two puppies for further evaluation for show/breeding. 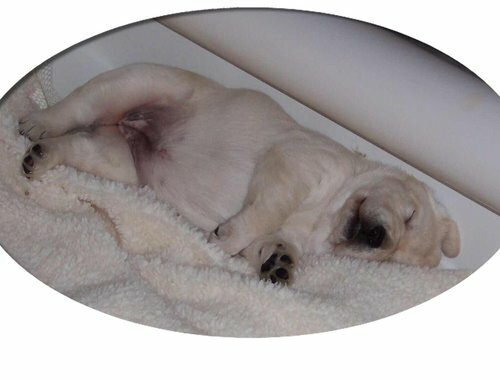 When a puppy is sold as a pet, we match puppies according to their temperament and other factors to their new owners' lifestyles and family makeup in a sincere attempt to achieve the most harmonious placement possible. Because of this, the fact that you may be "Number 4" on our list does not mean that you get the "Fourth Pick" puppy; nor does it guarantee that if you are first on our list that you will have your pick of anything available. 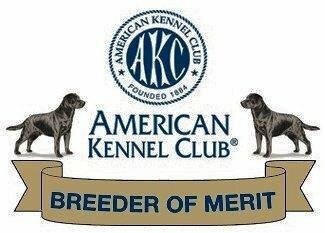 All Acornoak puppies are raised in our home and sold on an AKC Limited Registration with a spay/neuter contract. Our Breeding Details and Health Warranty. "What is a responsible Breeder"? Available: 16 month old black male. Show or breeding home only. Canine Hip and Elbow Dysplasia (CHD & ED) - Although polygenic (meaning a combination of genes and also how environment can play a role in the outcome) CHD & ED can only be screened by Radiographs. There is no DNA test to determine if a dog will get CHD/ED. Instead we rely on x-rays read by Orthopedic specialist who give us their opinion as to IF the dogs Hips and Elbows are Good or not. If they pass, then the breeder will register the results with the Orthopedic Foundation for Animals (OFA) who also manages a health data base for different breeds. 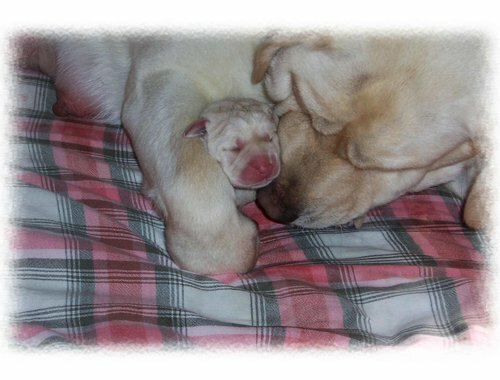 www.offa.org Although every Labrador should be screened and certified free of CHD and ED before being bred, there is no way to absolutely guarantee that any and all offspring from cleared parents will also be free of these issues. 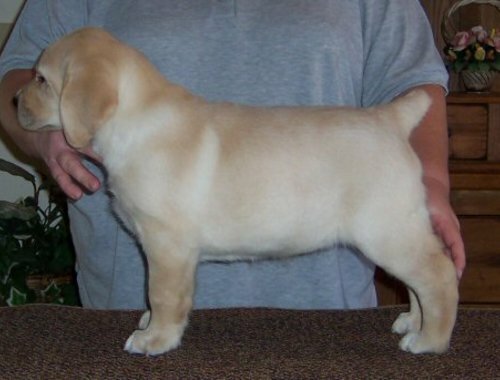 Rather it is most important to acquire a Labrador from parents that are certified with many generations behind them also certified, therefore decreasing the chances of producing CHD and ED. 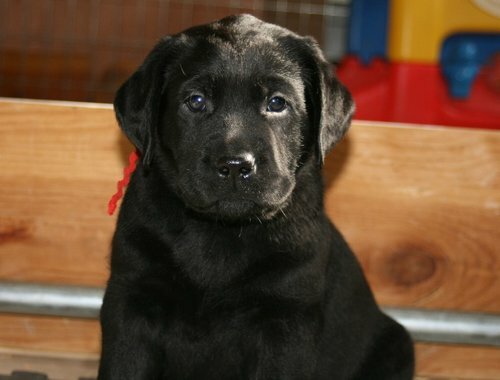 Progressive Retinal Dysplasia: - Leading cause of Blindness in Labradors. 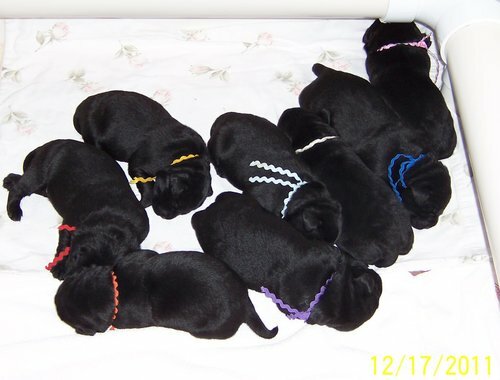 We can avoid producing affected puppies with the prcd form of PRA with the use of DNA testing. A blood sample or DNA swab is submitted to Optigen for appropriate testing. Tricuspid Valve Dysplaisa (TVD) - A known Heart Condition in Labradors. 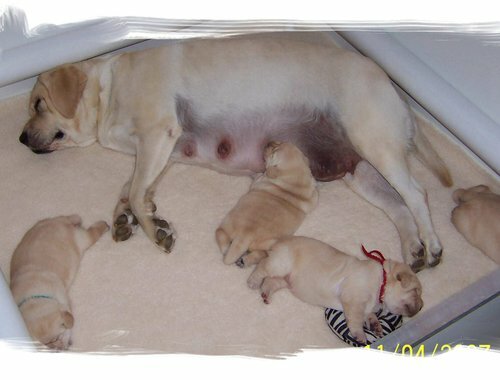 Labradors one year of age and older can be screened by a Veterinary CARDIOLOGIST via auscultation and/or Echo Doppler and cleared animals can be registered in OFA's Health database. 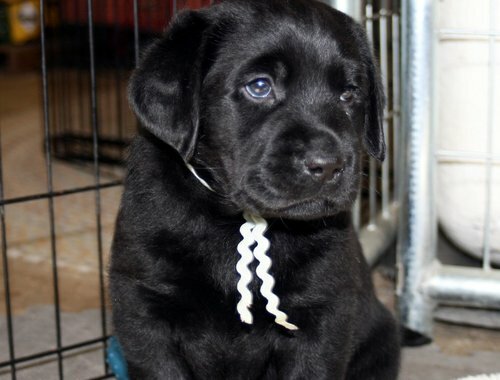 Heritable Eye Disorders - Labradors, like most breeds are prone to Hereditary Cataracts and other eye conditions. Before breeding, breeder SHOULD have their dogs eyes examined by an American College of Veterinary Ophthalmologist (AVCO) Vet to rule out any heritable eye problems. The ACVO exam should be performed yearly on any dog actively used in a breeding program. 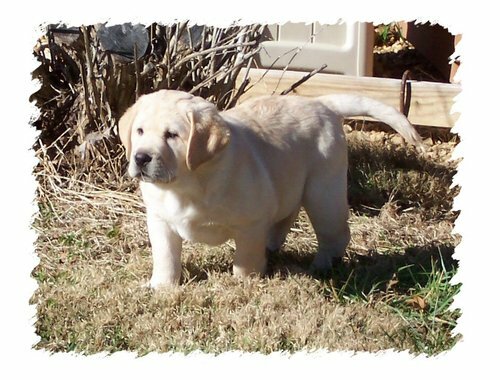 The results can be registered with either the OFA or CERF (Canine Eye Registry Foundation) OR at the very least, the breeder should have a current (within one year) ACVO form on file. Hereditary Nasal Parakeratosis (HNPK) - is an inherited autosomal recessive disorder. 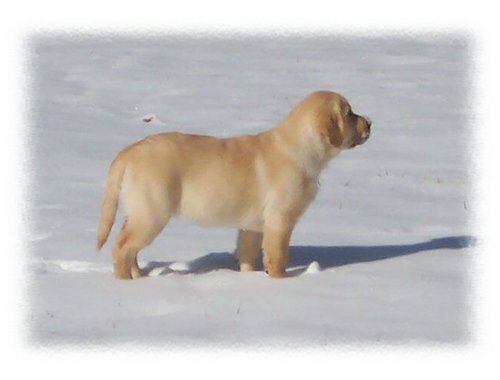 Affected dogs begin showing clinical signs around six to twelve months of age. They develop dry, rough crusts on the tip of the nose. In extreme cases, the dog’s nose will crack causing severe discomfort. Lesions can occur on the area around the nose. 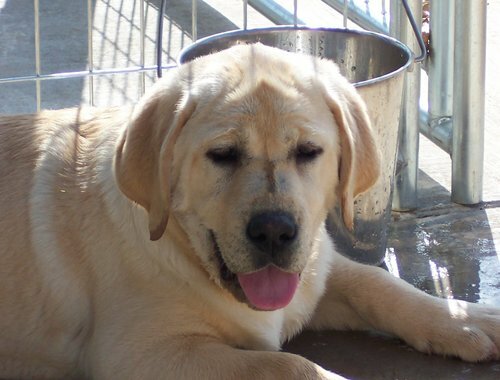 The noses of these affected dogs are prone to bacterial infections and can lose pigment over time. This disorder may be treated with veterinary consultation and topical therapy. 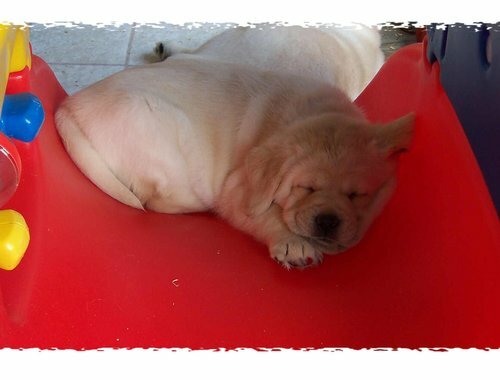 We use and strongly encourage our families to use Kuranda Beds for their new puppy or adult Labradors. Give your dog a lift with the orthopedic support and comfort of a patented chew-proof dog bed. The furniture, grade poly resin dog bed looks beautiful in any home, yet it's built tough for outdoor use. The neutral, almond colored frame blends perfectly with the wide choice of fabric colors. The UV resistant finish on the frame is guaranteed to stand up to the outdoors and repeated cleaning. All fasteners are stainless steel. You will get a choice of fabric when customizing your dog bed. We use and recommend the heavy 40oz Vinyl fabric on the standard Kuranda Dog Bed, because of the circling and digging that our dogs tend to do before they lay down. This fabric is very durable and virtually indestructible. It is very easily wiped clean and comes in color choices. The other fabric choices are less destructible and not recommended for puppies or adults that dig and scratch prior to laying down. We use our Kuranda beds indoors in the crates and also outdoors. Our dogs love to lay on these beds outside, versus the patio, when not laying in the grass. Simply click the link above to order your beds today! A portion of your purchase will be donated to Wounded Warrior Canine Connection, a pioneering organization that utilizes clinically based Canine Connection Therapy to help wounded Warriors reconnect with life, their families, their communities, and each other. Click on the Kuranda link above to order and help those in need. 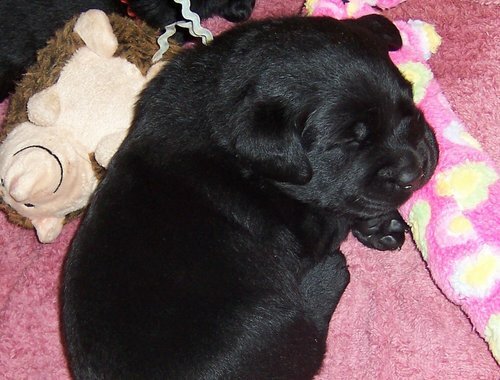 Why Pay More for a Pet Puppy? 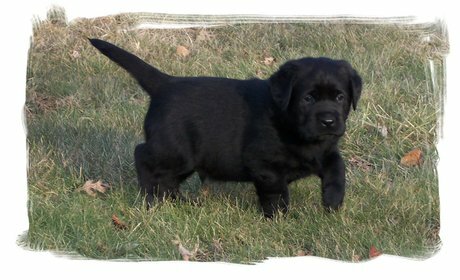 Some of our previous puppies.. Designed and maintained by Sharon Hamilton, Acornoak Labradors © Copyright 2009-2019. All rights reserved.